A few weeks ago we posted the pencils to the first panel of our forthcoming Strength Monsters Book; Strength Monsters in Monkey Buisness! 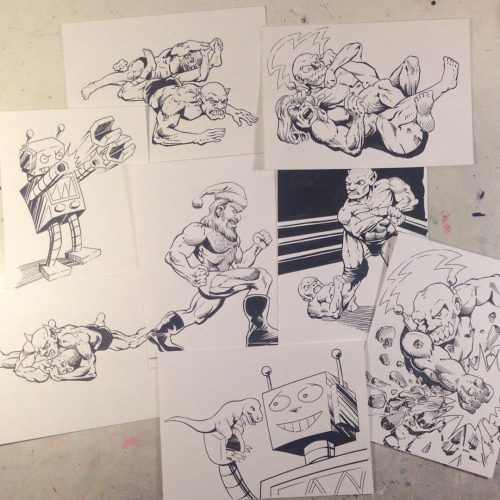 Here are the finished inks. Written and inked by Sam Kressin Pencils by A.J. Fulcher. Stay tuned as we will be posting the full page soon. Check out the first panel of our forthcoming Strength Monsters Book; Strength Monsters in Monkey Buisness! Penciled by local San Diego Artist A.J. Fulcher written by Sam Kressin. 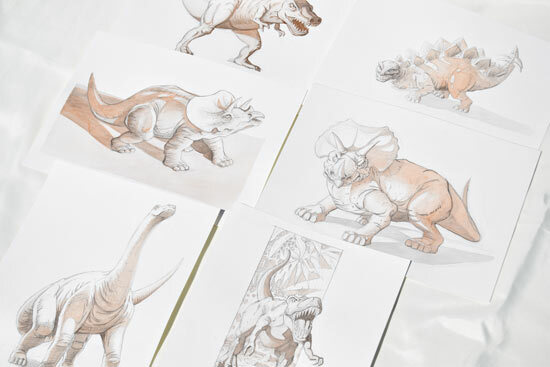 Stay tuned as we will be posting the full page completely inked soon. 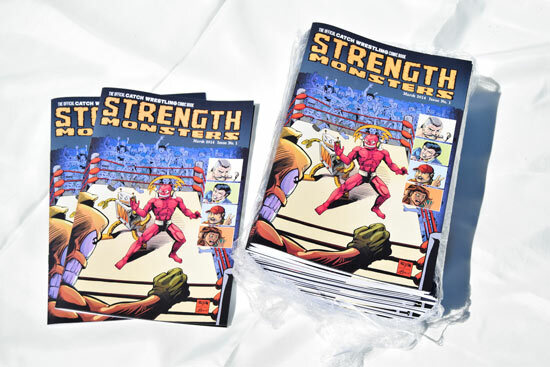 The NEW Hard Copies of Strength Monsters Issue One! We've been sold out on this issue for close to a year. We now have a new batch of printed copies with a new cover title, updated coloring and even a few pages colored inside the book. 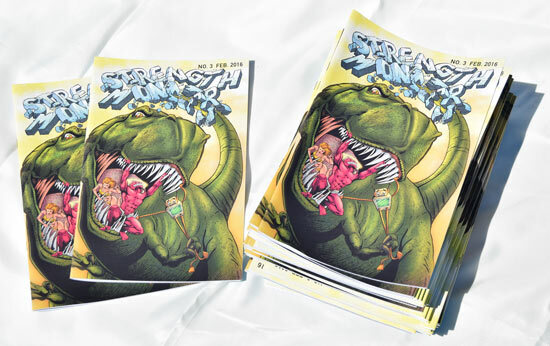 Hard copies of Strength Monsters issue two the crazy over the top Christmas issue penciled by Marvel Comic Veteran Mike Witherby. 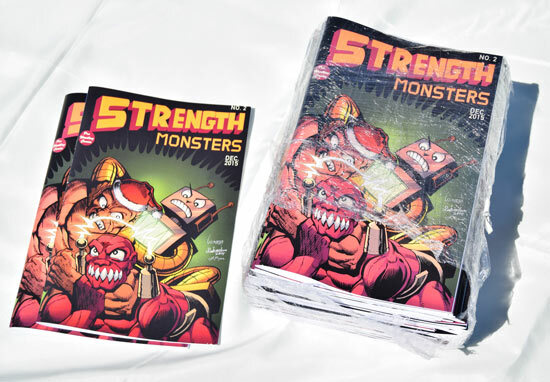 Hard Copies of Strength Monsters Issue Three the Big Monsters Issue! 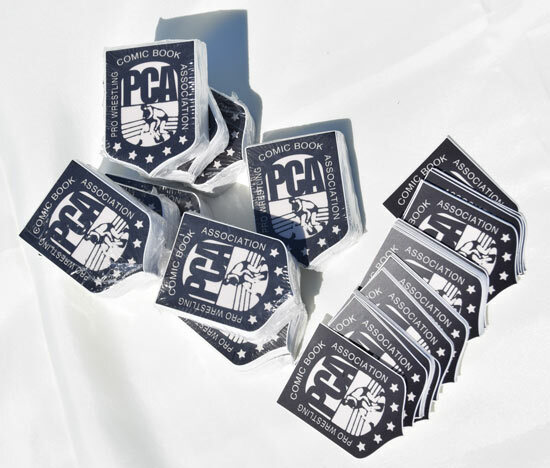 The Pro Wrestling Comic Book Association Decals! 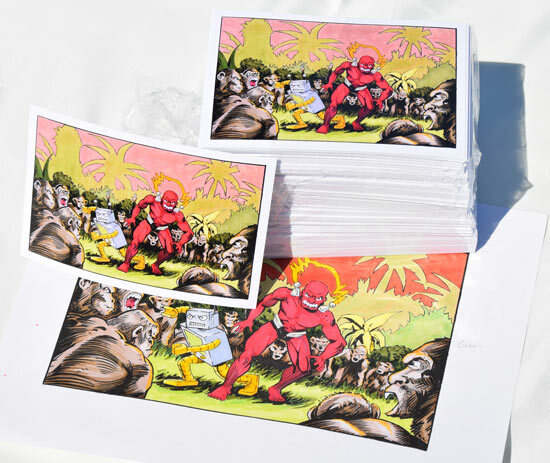 The Exclusive Post Card featuring an original illustration by Strength Monsters Creator Sam Kressin. 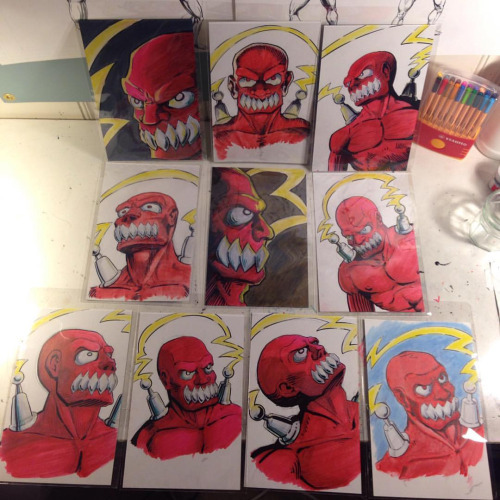 The 9X12 Original Art Rewards! The Back Board Sketch Rewards! We can't thank everyone enough who supported and got behind this project! Without your help it wouldn't have happened! We are really excited for everyone to be able to read these books.